Scent Description: Top notes of Candied Lime savors, Lemon syrup, and Bergamot extract; followed by middle notes of Poppyseed muffin, Brown Sugar, and Clove Bud; sitting on base notes of Marshmallow Fluff, Vanilla Cake Batter, and White Musk. Cold Sniff: 3/5 A very fizzy lemon scent. I go back and forth on lemon scents, so it takes a very particular kind of mood for me to pull this scent out. In my initial haul post I mentioned that I could not pick up on the pound cake. On second sniff, I can say I do, in fact pick up on it, but it's still very faint. Warm Sniff: 4/5 A bit less fizz and a lot more creaminess. Incredibly lemony, but very delicious! Scent Strength: 3/3 "Liz, what are you baking?" "Why do I smell lemon cake?" "Your wax gives me false hopes and dreams." Scent Throw: >3/3 This filled the kitchen/dining area, hallway, office, entryway, and some of the living room. Melting Power: 4/5 I got about 7 hours of scent from half a tart cup before switching out the scent. I probably could have gone for longer, but I was desperate for a more calming scent after the assault that this was. Repurchase: Yes! 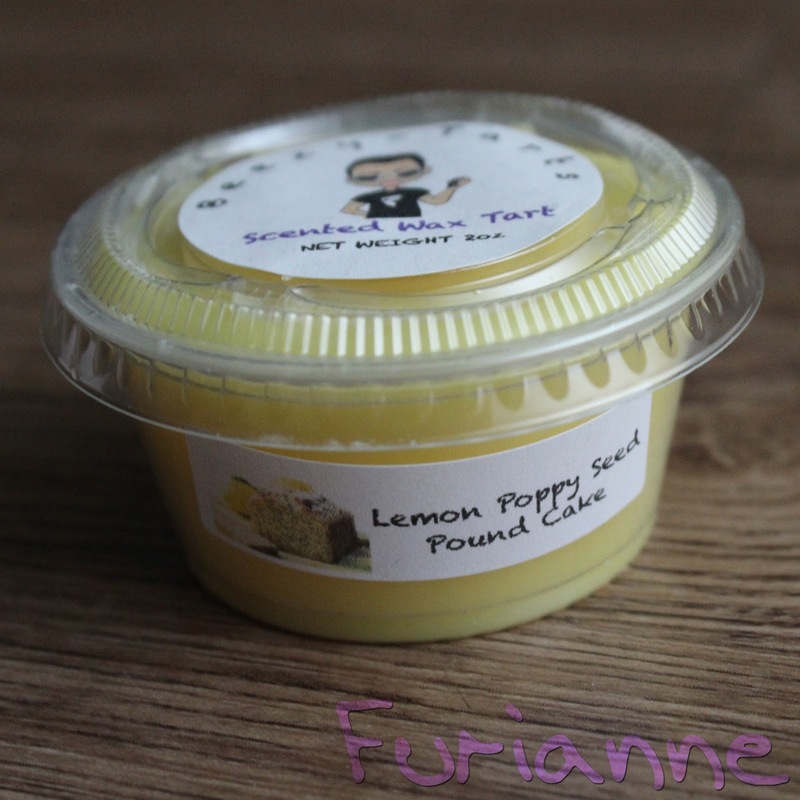 I may try and blend this with softer scents in the future, but it's quite a pleasant lemon scent!